BBC One - imagine..., 2018, George Benjamin: What Do You Want to Do When You Grow Up? George Benjamin: What Do You Want to Do When You Grow Up? 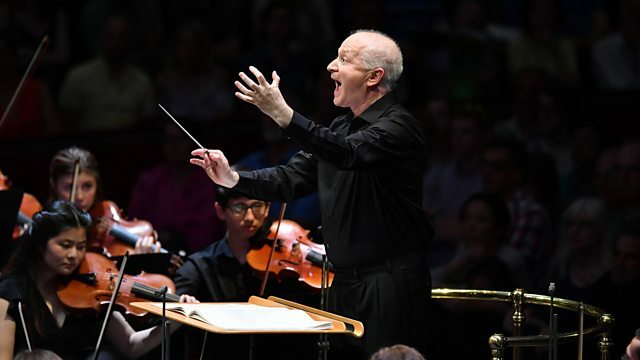 The programme tracks the creation of celebrated composer Sir George Benjamin's latest opera Lessons in Love and Violence, which premiered at the Royal Opera House this year. He has been crowned with every laurel in contemporary classical music, composed operas which play on the world's most illustrious stages and been knighted for his services to music. Yet Sir George Benjamin is still relatively little known outside the classical world. Imagine... sets that straight. Intimate and humorous, this film tracks the creation of the British composer's latest opera Lessons in Love and Violence, which premiered at the Royal Opera House this year. The film follows his journey from composing songs aged three and being transfixed by Fantasia and 2001: Space Odyssey to his golden days as the youngest ever pupil of the legendary composer Olivier Messiaen in Paris. Early experiments with computers, a passion for folk instruments and virtuosity on the piano combined to produce the startling, moving music heard today.